Erik is a native of Sioux Falls, South Dakota, and is a graduate of Lincoln High School. He graduated from Augustana University in 2012 with a Bachelor of Arts degree majoring in Business Administration and Government and a minor in Economics. Following graduation, Erik moved to Vermillion, South Dakota to obtain his Master’s in Business Administration from the University of South Dakota. Erik continued his education at the University of South Dakota School of Law where he obtained his Juris Doctor and Masters in Business Administration degrees in 2016. He held summer internships with the firm in 2014 and 2015. 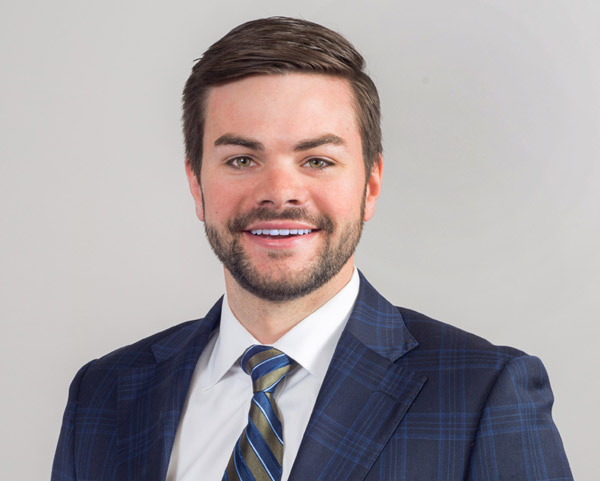 Erik joined Cutler Law Firm, LLP as an associate in 2016. Erik’s practice focuses on Business Organizations and Transactions and Real Estate Law. He was raised in a family owned business and knows the demands that small business owners face. Erik helps small business owners overcome obstacles so they can focus on growing their business. Erik lives in Sioux Falls and enjoys spending time in the downtown community. In his free time, Erik likes to attend Minnesota Vikings Games, golf, hunt, and travel.